Mo Yan, China’s most critically acclaimed author, has changed the face of his country’s contemporary literature with such daring and masterly novels as Red Sorghum, The Garlic Ballads, and The Republic of Wine. In this collection of eight astonishing stories—the title story of which has been adapted to film by the award-winning director of Red Sorghum Zhang Yimou—Mo Yan shows why he is also China’s leading writer of short fiction. 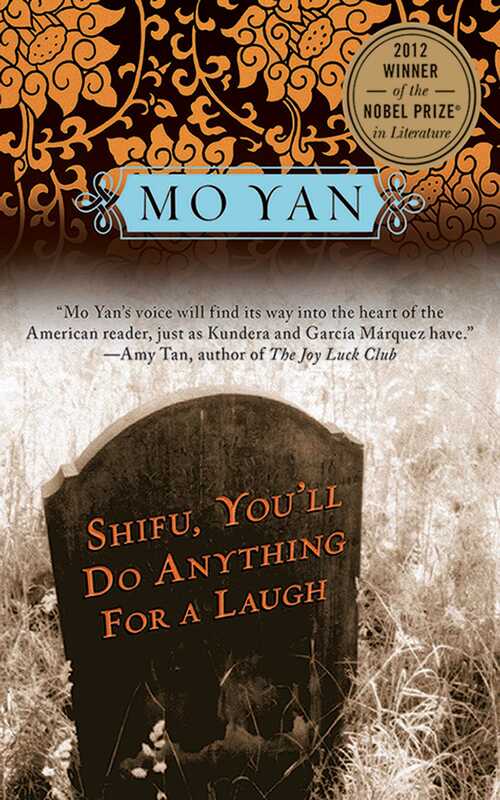 His passion for writing shaped by his own experience of almost unimaginable poverty as a child, Mo Yan uses his talent to expose the harsh abuses of an oppressive society. In these stories he writes of those who suffer, physically and spiritually, under its yoke: the newly unemployed factory worker who hits upon an ingenious financial opportunity; two former lovers revisiting their passion fleetingly before returning to their spouses; young couples willing to pay for a place to share their love in private; the abandoned baby brought home by a soldier to his unsympathetic wife; the impoverished child who must subsist on a diet of iron and steel; the young bride willing to go to any length to escape an odious, arranged marriage. Never didactic, Mo’s fiction ranges from tragedy to wicked satire, rage to whimsy, magical fable to harsh realism, from impassioned pleas on behalf of struggling workers to paeans to romantic love.